Taking MAX into Portland, I detrained at Pioneer Square and picked up my morning coffee. Walking to work, I saw another MAX coming in the other direction. I stopped at my old photo spot on the drive to the MAX station this morning. 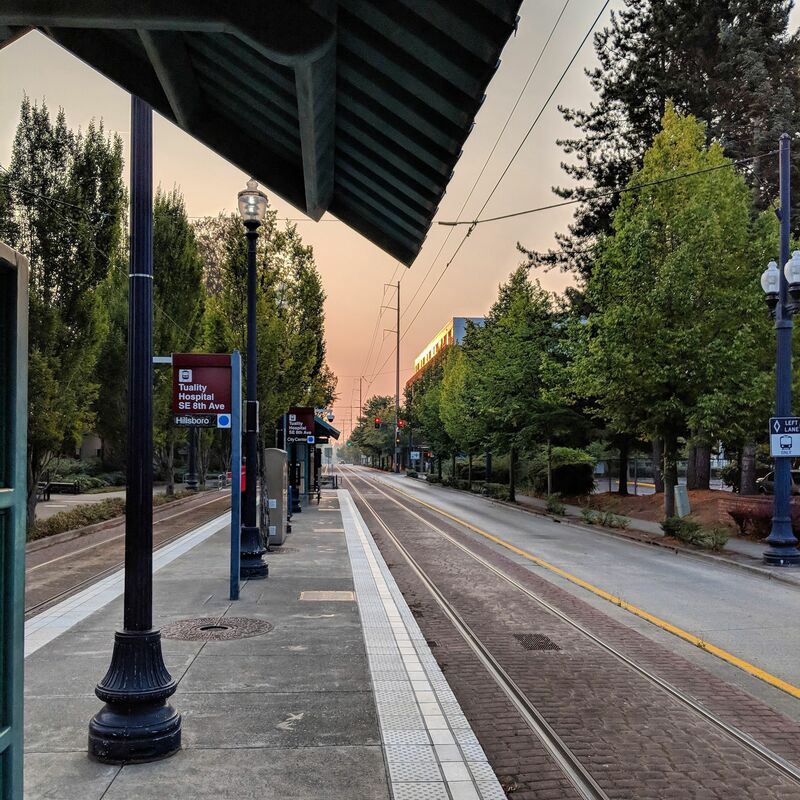 It’s just a stone’s throw from the Hillsboro Fairgrounds MAX station. As I got back in the car, I saw the Eastbound MAX pulling away, giving me some time to take some more pictures at the station.